This is a beautiful large antique jewellery box with a wonderful burr walnut veneer. It has a decorative mother of pearl lozenge to the lid, surrounded by inlaid banding. The banding is in a beautiful diamond formation and is made up of various stained hardwoods. The same mother of pearl and inlaid decoration is also around the keyhole escutcheon. The walnut veneer is extremely attractive. It has a beautiful rich colour and superb figuration! 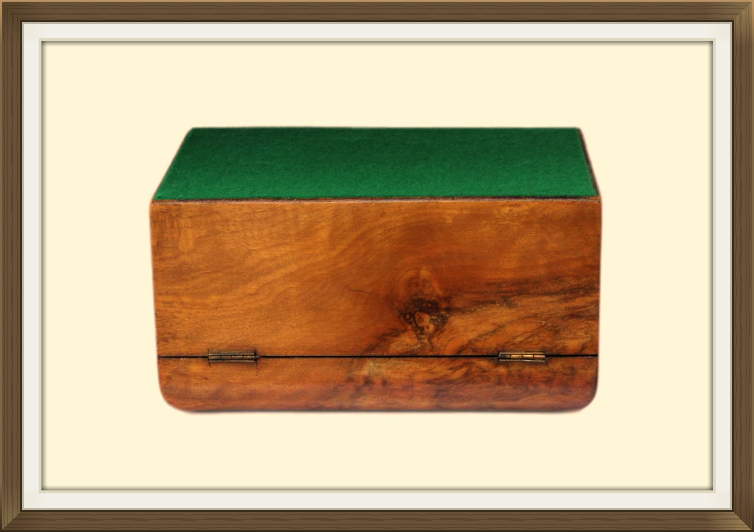 The lid has a wonderful canted shape and the box is complete with its original key, brass lock and brass stop hinges. These prevent the lid from falling back. 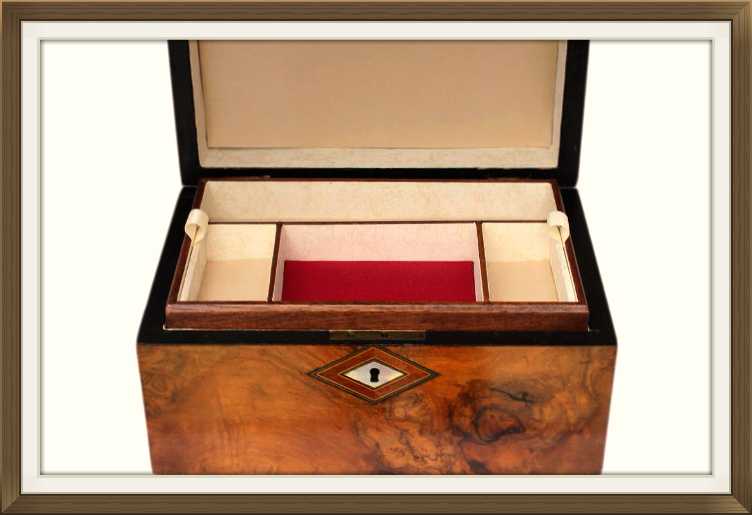 The interior has been completely refurbished by our wonderful skilled box restorer. 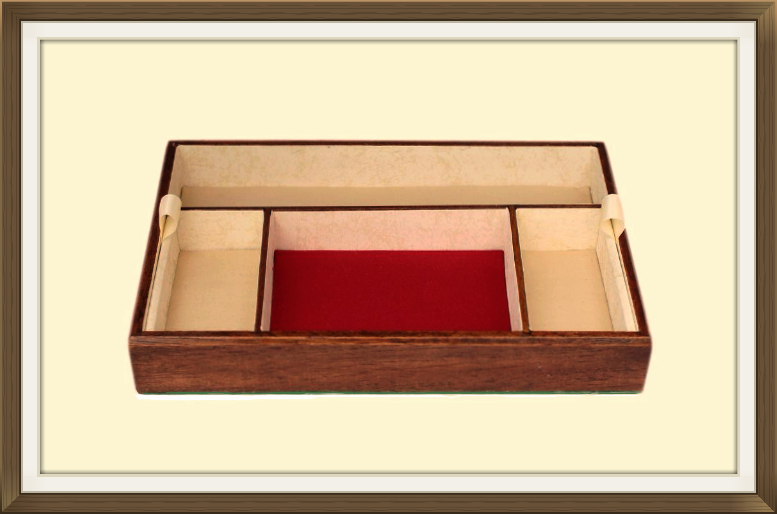 It has a new French polished hardwood tray with a roomy centre compartment, 2 smaller side compartments, and a long compartment to the rear. The centre compartment is an ideal size for bracelets and slim bangles, and the two side compartments are perfect for smaller pieces of jewellery such as rings, earrings, pendants and brooches. The long rear compartment is for necklaces and chains. There is a large and deep, single compartment, beneath the lift out tray. 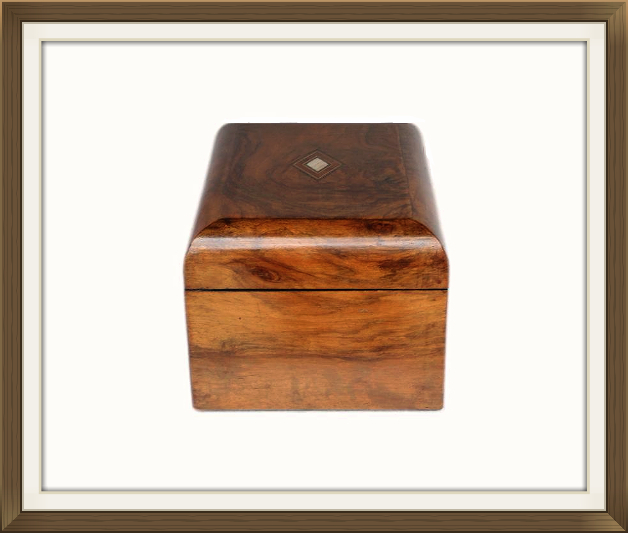 This is extremely roomy and will hold a vast amount of large jewellery such as watches, thick bangles, and beads etc. 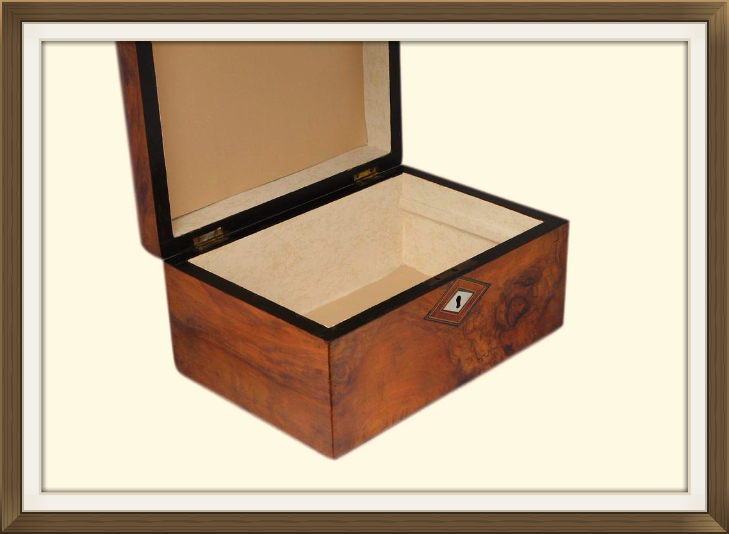 There are beautiful padded cream silk panels to the inside lid, base of the large compartment, and the side and rear compartments to the tray. The centre front compartment of the tray has a contrasting padded red satin panel. The inside walls and walls of the tray are newly lined with a patterned cream paper. The are lovely cream silk pull tabs to the lift out tray which enable you to remove it with ease. These also add a beautiful finishing touch to the tray! 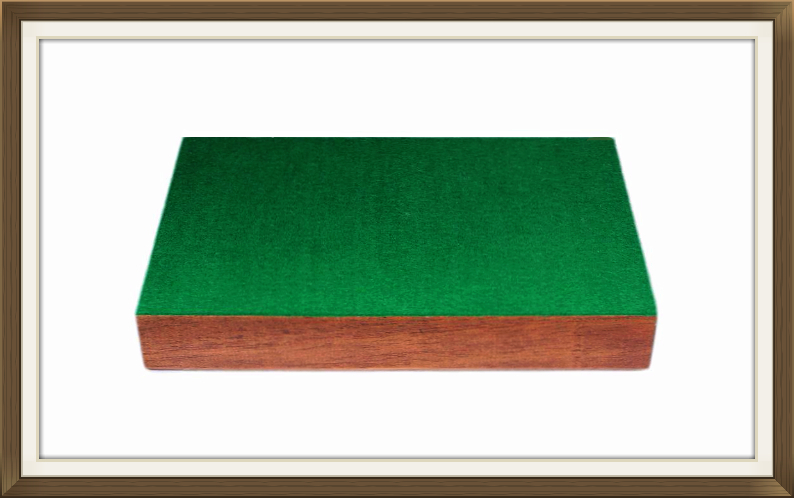 There is a new felt covering to the bottom of the box, added to protect the surfaces of furniture, and the same has been added to the base of the hardwood tray. 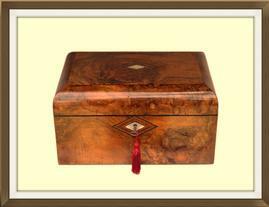 This wonderful box is in exceptional condition for its 135/145 years of age. It is structurally sound and free of damage. The interior being new is in pristine condition. The lock and hinges are in perfect working order and the box locks securely with a wonderful satisfying click! 10.8 by 8.0cm with a 2.6cm depth. 8.0 by 4.2cm with a 2.6cm depth. 20.8 by 4.5cms with a 2.6cm depth. International postage is just £25, by Royal Mail International Tracked & Signed. Delivery is fast within 5-7 working days.